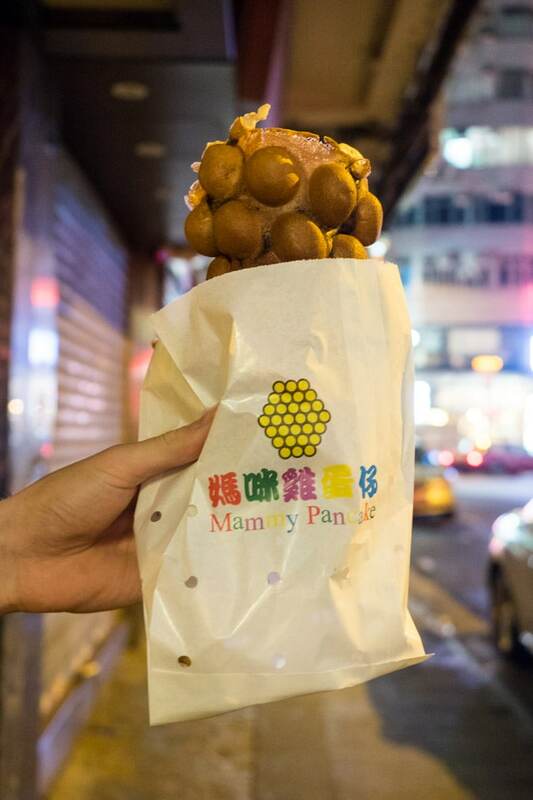 Egg Waffles are a delicious Hong Kong dessert that you have to experience. 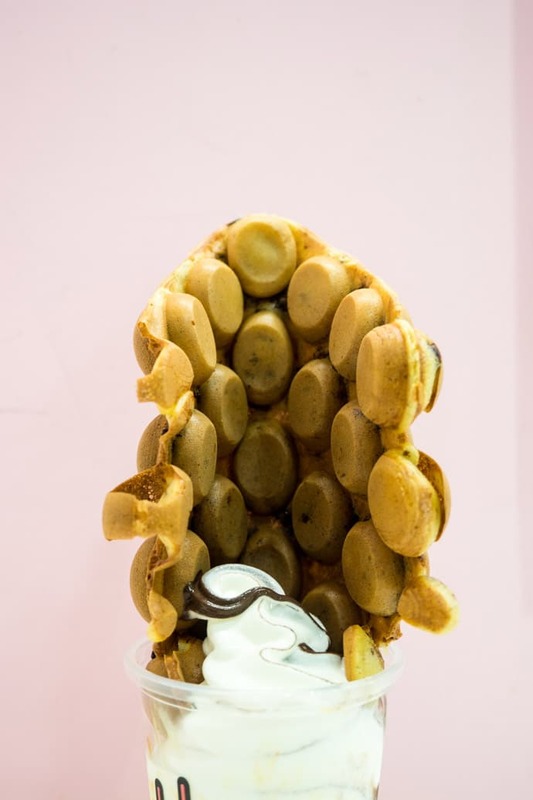 LKK North Point Egg Waffles have many locations, with the original in North Point touted to be the best. We gave them a try in Tsim Sha Tsui and loved them. You will have to wait in line for maybe 15 minutes or so, but it’s worth it. 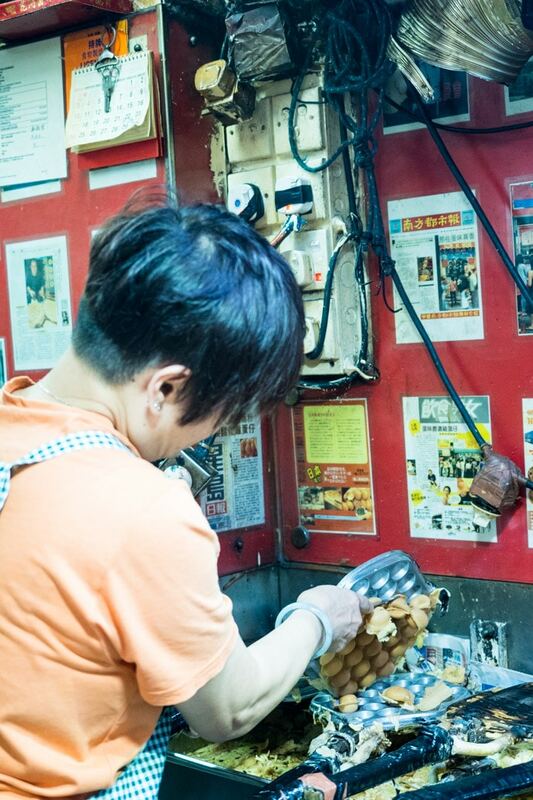 Another great place to try egg waffles! It’s so hard to choose a favourite as I loved all the egg waffles I tried but there was something special about Mammy Pancake. We had original and chocolate chip, both delicious. 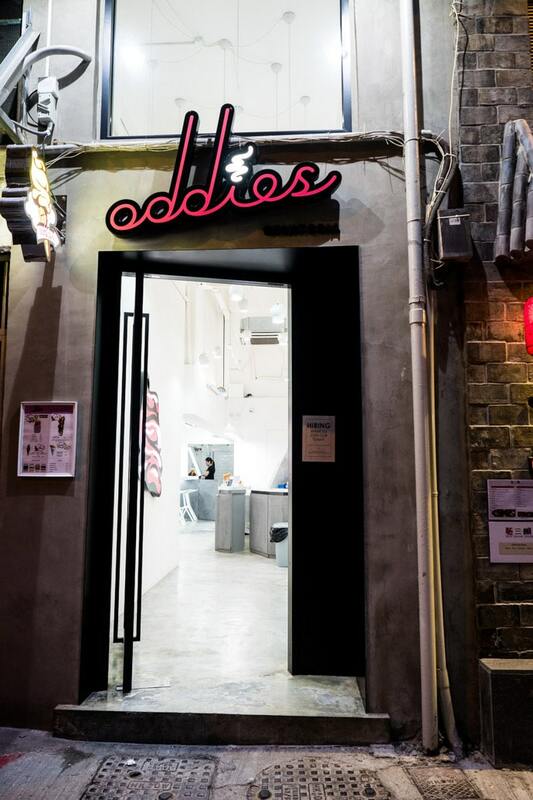 Again, there are multiple locations but we tried them at their Tsim Sha Tsui branch. 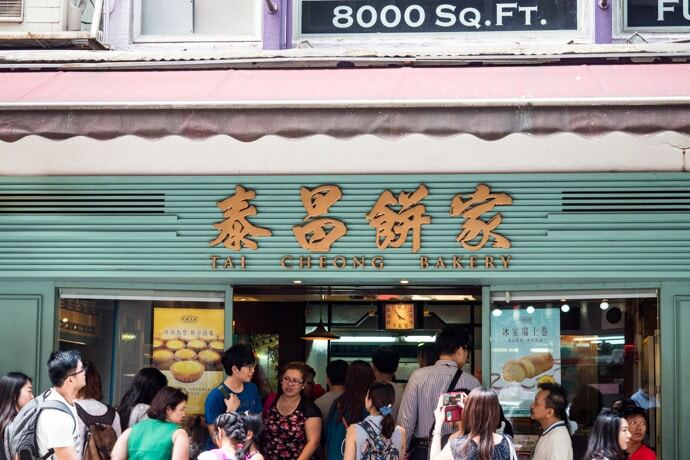 The most famous egg tarts in Hong Kong are from Tai Cheong Bakery. There will most likely be a line… but food lines are perhaps the only ones I’m usually happy to wait in ;) Ok, within reason. 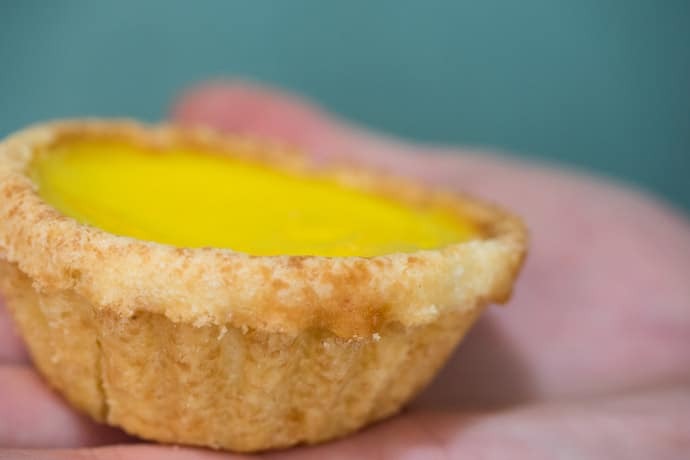 The egg tarts here are usually fresh out of the oven, filled with an egg custard surrounded by a buttery pastry. Delicious! If you’re going to Macau, definitely have some of the Portuguese style egg tarts there too. 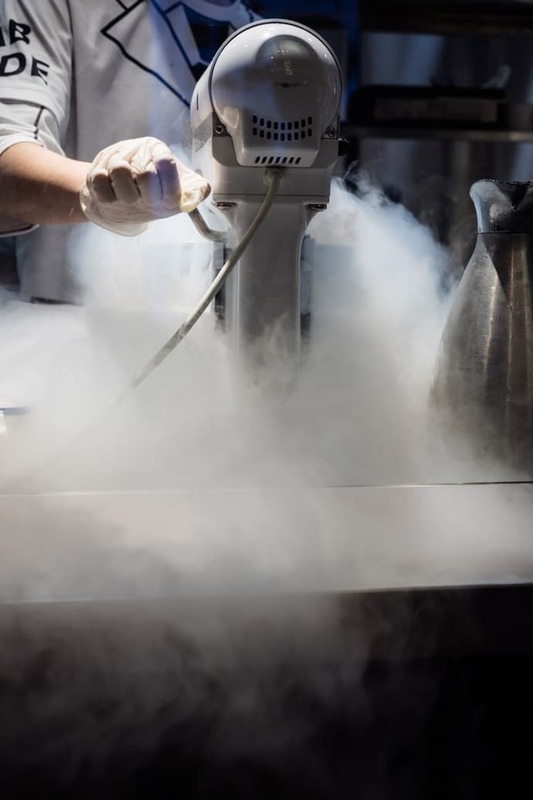 Liquid nitrogen ice cream is not a new thing but Lab Made do it so well. They have great flavour combinations and a beautiful creamy texture. I love the strawberry cheesecake flavour. Via Tokyo is all about Japanese matcha desserts. 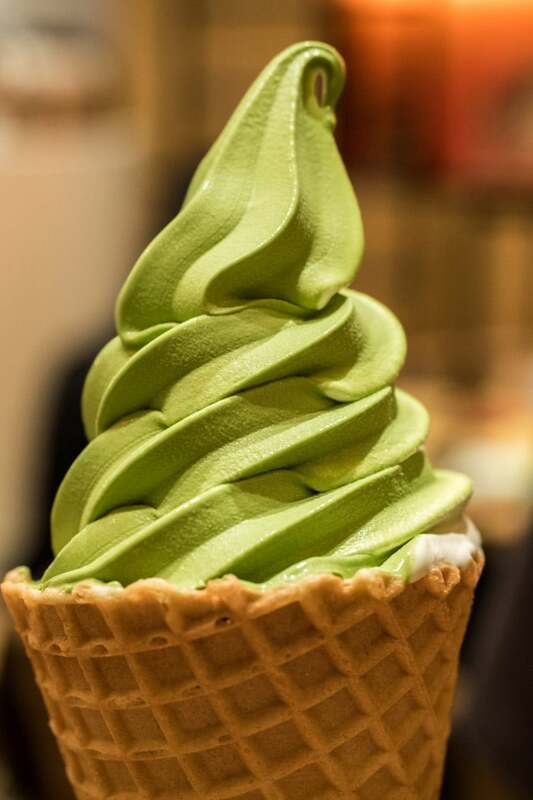 One of their most popular desserts is the matcha ice cream which is made from Japanese matcha powder and Hokkaido milk. We tried the half matcha ice cream and half Hokkaido milk ice cream because matcha can be strong, and it was great. We stumbled across I See I See and couldn’t resist the beautiful handcrafted icy desserts. They have delicious milk and fruit based ice blocks with no added preservatives or colouring. 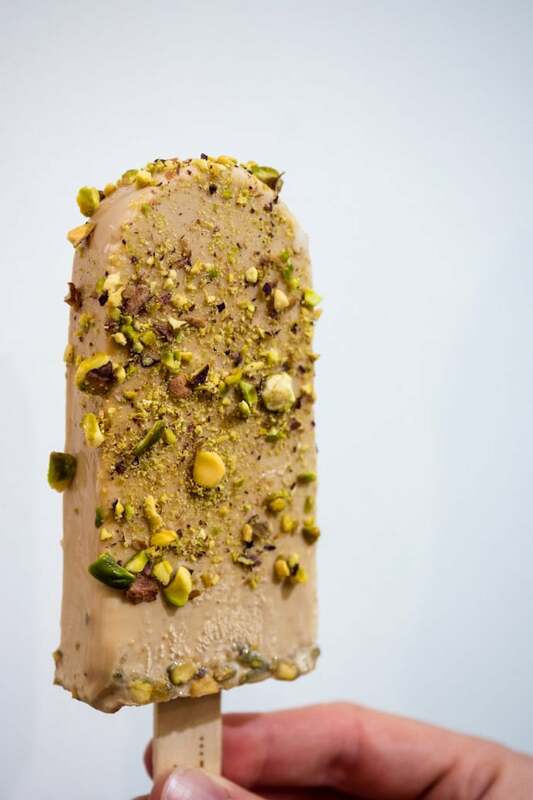 I love their Earl Grey Pistachio flavour. If you’re a fan of frozen yoghurt then I’m sure you’ll love Smile Yoghurt. Here they have delicious layered frozen yoghurt. Depending on what flavour you choose, you will have lots of crunchy bits, sweet sauces and many other bits! 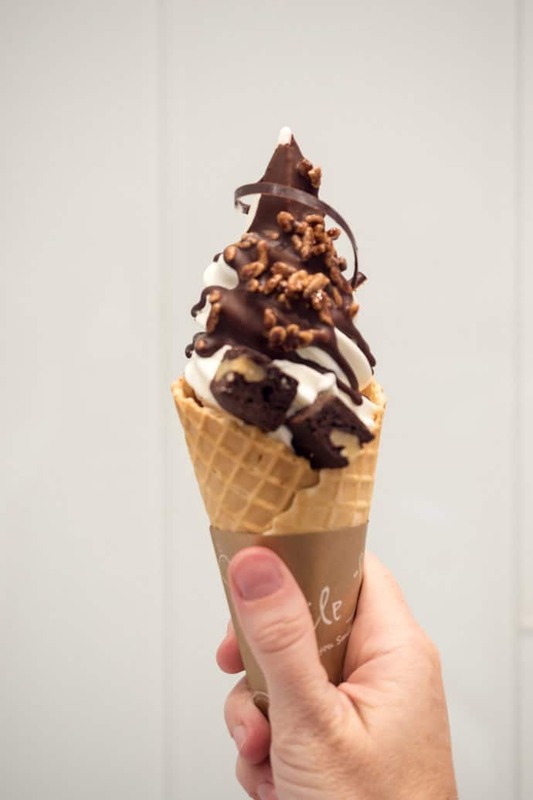 We got ours in a cone and still had lots of the delicious toppings. Tsui Wah is a Cha Chaan Teng, which means Tea Restaurant and is a Hong Kong style diner. 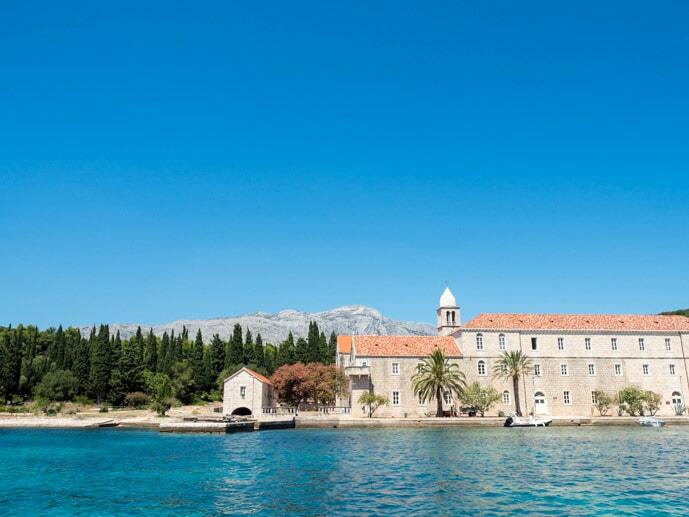 The food here can be from a mixed cuisine and is probably unlike any dining experience you may have had before. 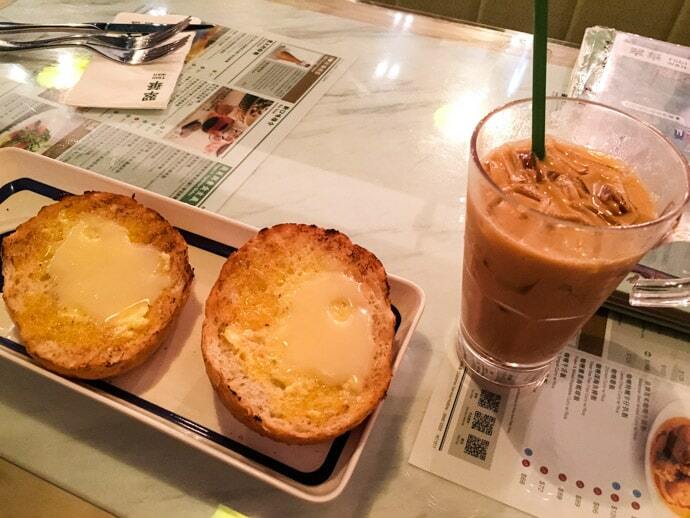 One thing we loved was having a Hong Kong style milk tea with a crispy bun drizzled with condensed milk. 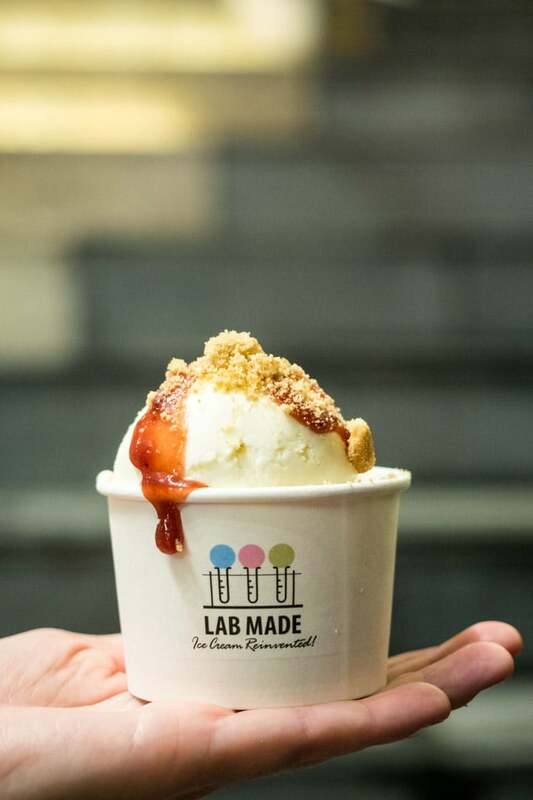 A simple yet delicious dessert in Hong Kong, available 24 hours a day. I fell in love with Teakha the moment I saw it. It’s a beautiful cafe serving delicious tea and cakes. Their cakes are made from locally sourced, seasonal ingredients. 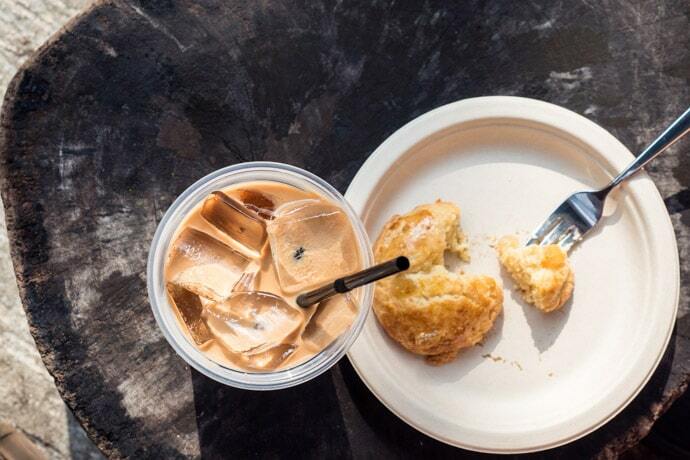 The menu often features things like cheesecakes, pound cakes and scones. 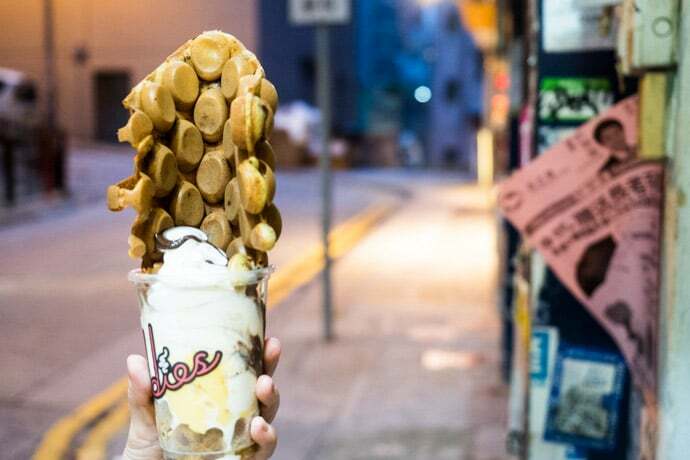 What are your picks for the best dessert in Hong Kong?